What is an Oriental rug? How are they made? What is their history? And what Oriental rugs are available today? In this short article are the answers to all of these questions. Word origin…“Orient” means “the East”, and Oriental means Eastern. So, when we speak of Oriental rugs, what we really mean is “rugs from the Eastern part of the world”, or simply, “rugs from Asia”. Its nature…Oriental rugs are a hand knotted or handwoven product. 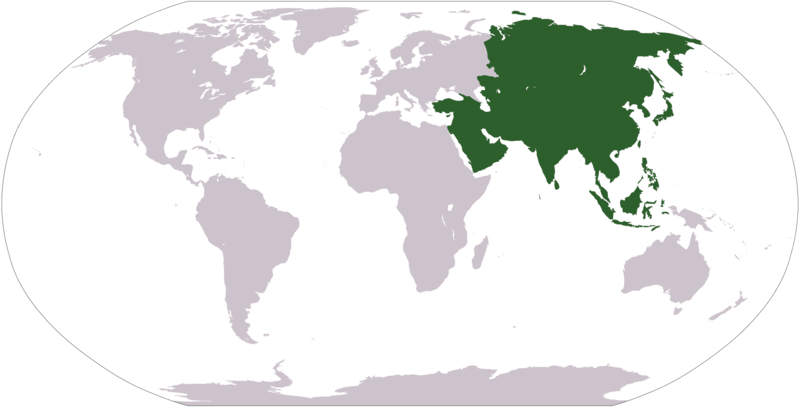 Therefore, machine-made and hand-tufted rugs from Asian countries such as China or India are not considered Oriental rugs. Proper noun…Since “Oriental” refers to a definable geographic area, it should always be capitalized. A hand knotted Oriental rug consists of tens or hundreds of thousands of knots of wool individually tied by hand around the warp strings (i.e. 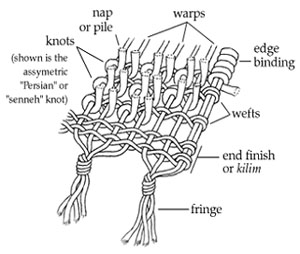 those stretched longitudinally on the loom) and firmly anchored by the weft strings (i.e. those running latitudinally). Apart from cheating (e.g. tying the wool around four warps instead of two), there is no short cut to avoid the meticulous work involved in weaving a hand knotted Oriental rug. A 9 x 12 tribal rug takes three weavers about 6 months to make. 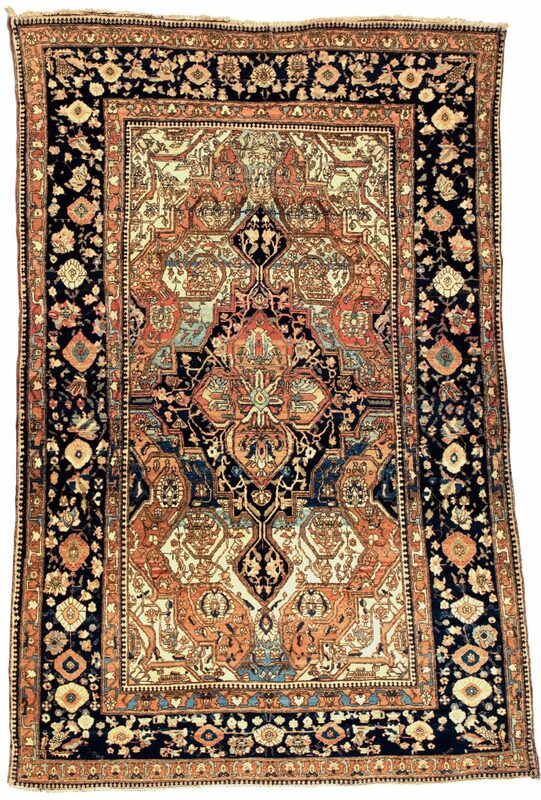 The oldest known surviving hand knotted carpet was found in a tomb in the Altai mountains in southern Siberia. 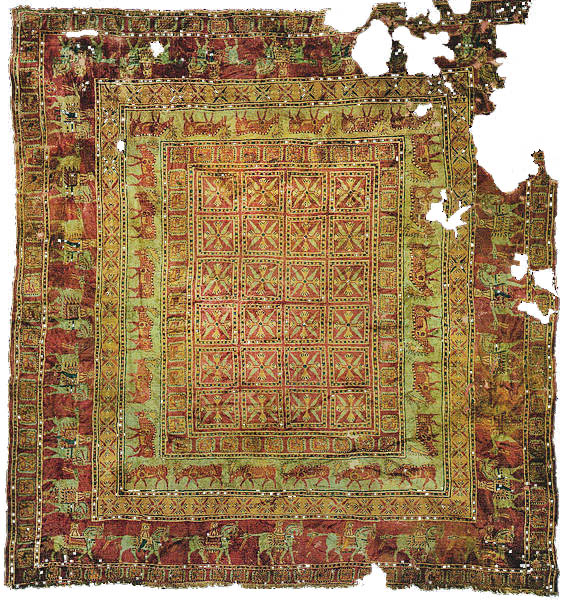 Known as the Pazyryk carpet, it was preserved in ice since the 5th century BC. In the rug world, this discovery is of the same order of importance as finding the Dead Sea Scrolls because it proves that the skill of hand knotted rug weaving was fully developed 2,500 years ago. Given the technical complexity of the Pazyryk, it is quite possible that the tradition reaches back into the second millennium BC. 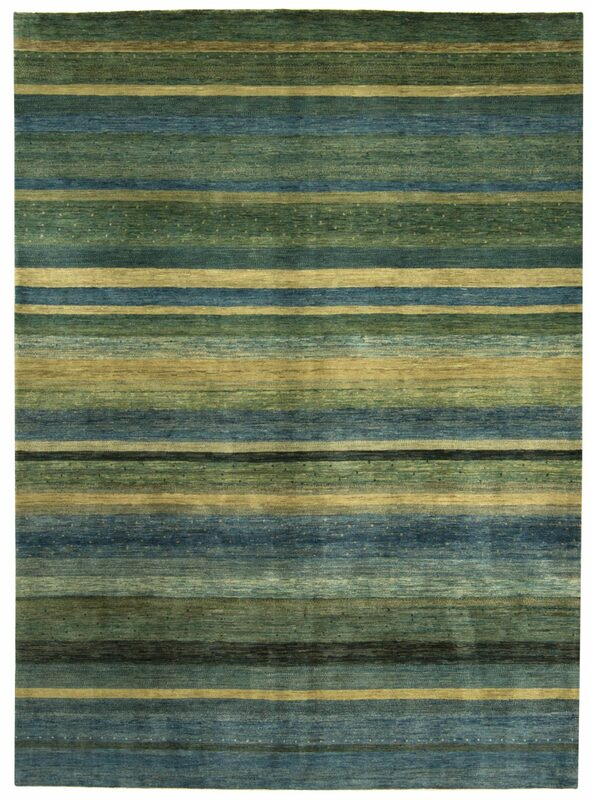 How remarkable it is that fundamentally, hand knotted rug weaving today is no different from the rug weaving done in the ancient world! New traditional Oriental rugs are usually based on antique rug designs. 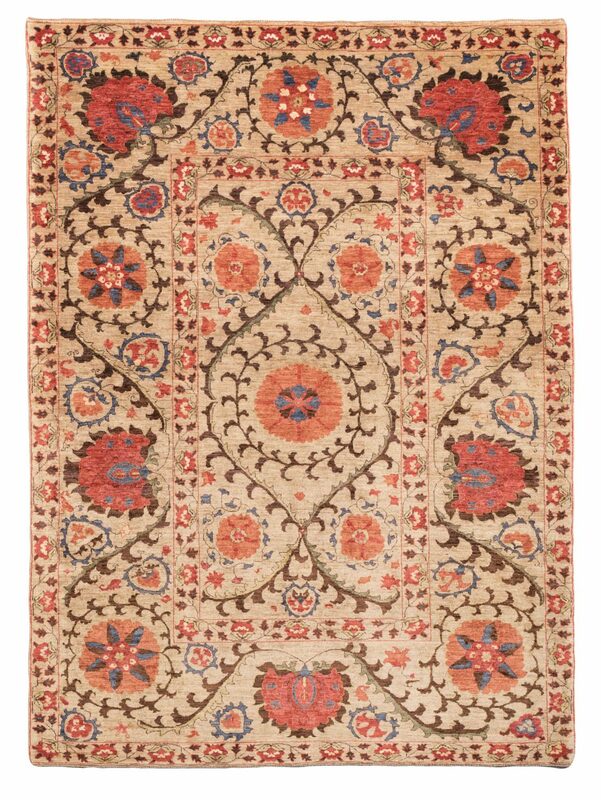 For example, recreations of the well known Persian Heriz design are being woven in Iran, Afghanistan, Pakistan & India. New traditional rugs always have a border, and generally have strong color. Generally, transitional rugs have a repeating pattern. They may or may not have a border, and designs are often inspired by textiles such as Ikat or Suzani. 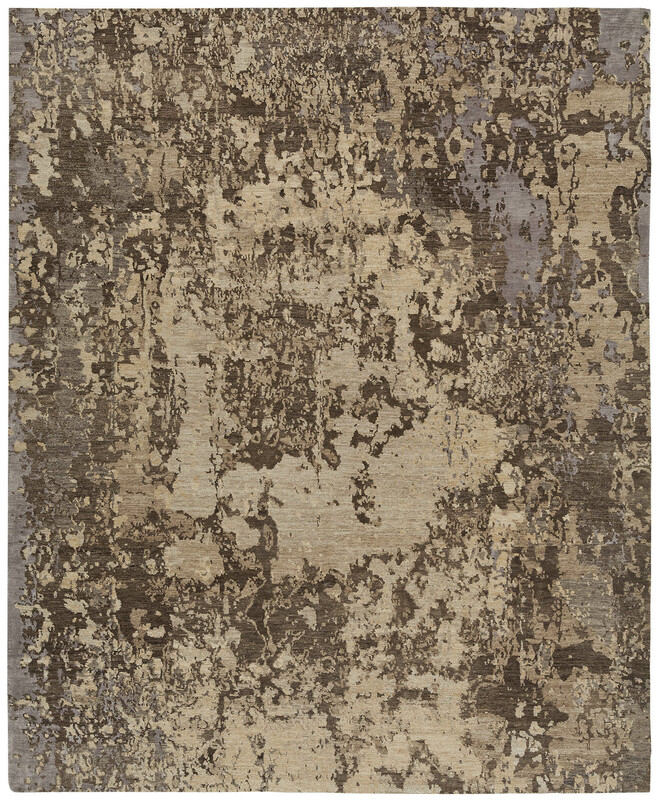 Designs can even come from traditional carpets, but when they do, it’s the colors that make the rug transitional, not the design. Sometimes the line between traditional and transitional can be a bit gray. These rugs generally do not have borders. The designs are always untraditional and can even be very abstract. The line between transitional and modern can sometimes be a bit gray. These rugs are 100 years or older. 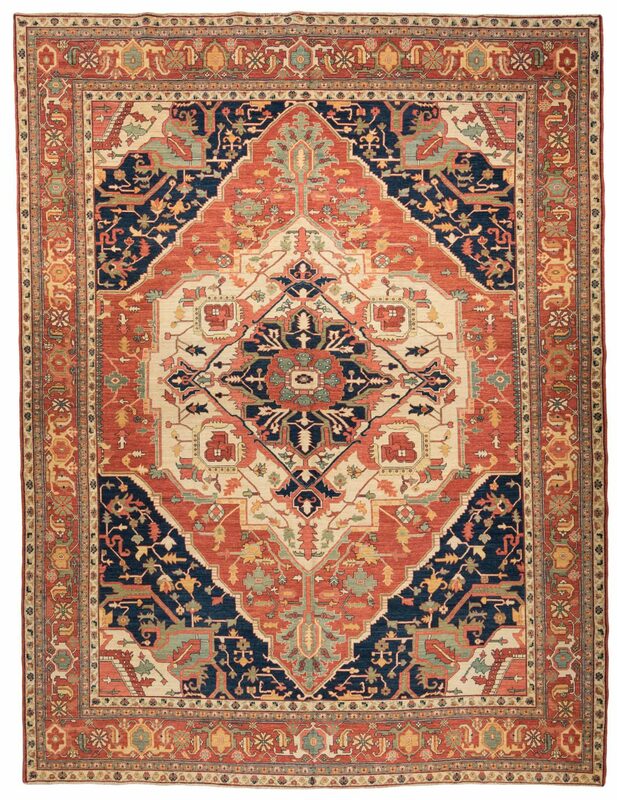 Most antique rugs around today are Persian, Turkish or Caucasian, but on occasion you can find beautiful pieces from Central and South Asia.